A former National Security Adviser, Sambo Dasuki, has said that weapons found in his home last year belonged the NSA office. A Federal High Court in Abuja on Wednesday heard that the weapons found at the Asokoro residence of Mr. Dasuki barely 48 hours after he left office were for the use of his security details. These were contained in Mr. Dasuki’s statement made to the operatives of the State Security Service, SSS, tendered and admitted as exhibit by Justice Adeniyi Ademola in the ongoing trial of the former NSA on charges of unlawful possession of arms. A prosecution witness, Samuel Ogbu, who is an operative of SSS stated this when he was asked to read in the open court the statement made by Mr. Dasuki during his interrogation by the SSS before he was charged to court. Under cross-examination by the counsel to Mr. Dasuki, Ahmed Raji, the witness said that Mr. Dasuki in his statement confirmed that weapons were for the ONSA and for the protection of the NSA. 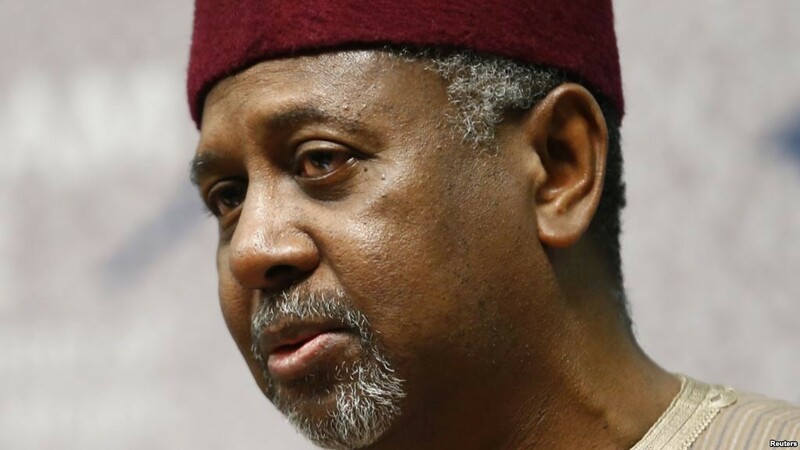 The witness also said that Mr. Dasuki claimed in his written statement that the weapons were to be returned to the ONSA by the security details at the end of the day. Mr. Ogwu said he could not remember the date Mr. Dasuki left office as NSA but however insisted that the interrogation was conducted after he had left office. Answering another question, the witness, who claimed to have spent 34 years in the service, admitted that the NSA was entitled to security details as the coordinator of activities of all security agencies in the country. The operative said that the SSS did not issue the weapon to the former NSA, but said he would not know whether the weapons were issued to Mr. Dasuki by the military authority. Also under cross-examination, the witness admitted that he had never been to the armoury of the Nigerian Army, Airforce, Navy, Police, National Intelligence Agency and DMI and would not know whether the weapons found in Mr. Dasuki’s house were issued to him by any of the agencies. “I am aware that the Office of the NSA coordinates the activities of all security agencies in this country comprising Police, Army, Airforce, Navy, DSS, and DMI among others and my evidence in this trial relates only to what happens in the DSS,” Mr. Ogwu said. Earlier in his evidence, the witness had claimed that the house of Mr. Dasuki was searched based on intelligence report and that some weapons including powerful rifles were hidden. He said that as a follow-up to the recovery, he was invited to participate in the interrogation of Mr. Dasuki to know the ownership of the weapons and for what purposes they were meant in the house. The witness said that the interrogation was freely conducted and fully recorded with electronic gadgets and that Mr. Dasuki’s statement was also recorded when it was being made voluntarily. Led in evidence by the counsel to the Federal Government, Dipo Okpeseyi, the witness said that the SSS decided to interrogate the ex-NSA on the weapons because of their sophistication. The witness added that ordinarily such weapons were not usually issued to ordinary individuals because of their capacities and that licence were not usually issued to individuals to purchase or carry them. Mr. Ogwu told the court that parts of the guns, Tavor Assault Rifles, were imported into the country by the Federal Government following the Boko Haram.